38,5 x 26,7 cm - 15 1/8 x 10 1/2 in. 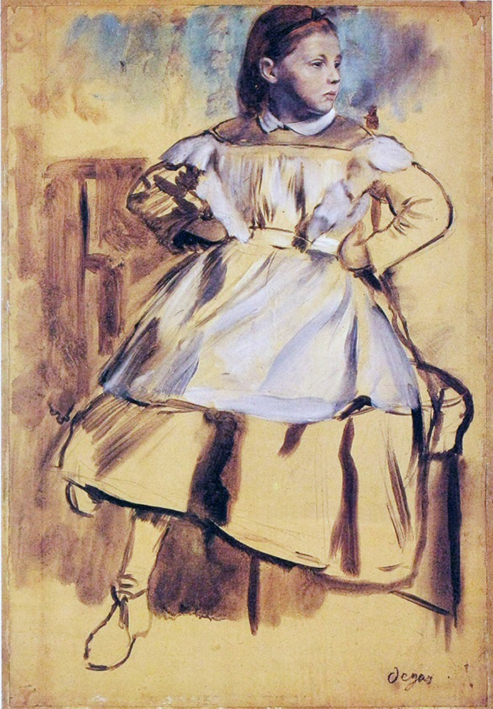 Michel Manzi, Paris – Vente Manzi-Joyant, Paris, 13-14 mars 1919, n° 32 (repr.) – Dikran Kélékian, New York – Vente Kélékian, New York, American Art Association, 30-31 janvier 1922, n° 101 (repr.) – Dikran Kélékian, Paris – Robert Woods Bliss, Washington, 1937-1940 – Harvard University, Dumbarton Oaks Research Library and Collection, 1940. Paris, galerie Georges Petit, 1924, n° 11, repr. p. 215 – Paris, galerie Paul Rosenberg, 1931, n° 51 – New York, Marie Harriman Gallery, 1934, n° 4 – Philadelphie, Pennsylvania Museum of Art, 1936, n° 59 (repr.) – Washington, National Gallery, 1937, n° 21 – San Francisco, California Palace of the Legion of Honor, 1947, n° 89, p. 56 (repr.) – Rotterdam, Boymans Museum, 1958-1959, n° 33 (repr. ) – Paris, musée de l'Orangerie, 1959, n° 33, pl. 152 – Baltimore, Museum of Art, 1962, n° 30 – Copenhague, Ordrupgaard, 1983, n° 33 (repr.) – Ferrare, Palazzo dei Diamanti, 2003, n° 6 (repr.) – Paris, Ottawa, New York, 1988-1989, n° 25, repr. p. 85 - Cambridge, Fogg Art Museum, 2005, Degas at Harvard, fig. 29, repr. p. 54. Catalogue collection Kélékian, 1920, pl. 27 - Lemoisne, Revue de l’Art, juin 1924, p. 19 (repr.) – Lemoisne, 1946-1949, II, n° 69, repr. 33 – Boggs, 1955, fig. 11, p. 131 – Cabanne, 1957, p. 12 – « Les dessins français dans les collections américaines. De Clouet à Matisse », Art et Style, 1958, n° 47 – Lassaigne, Minervino, 1974, n° 141, repr. p. 92 – Dunlop, 1979, repr. p. 13 – Mongan, 1958, p. 239 (repr.) – Boggs, 1988, p. 85, n° 25 (repr.) - Newlands, 1988 (repr.) 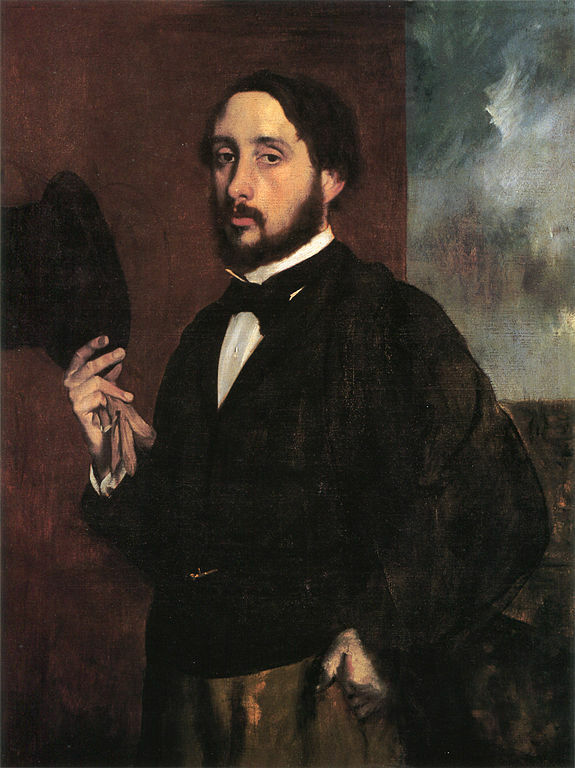 - Degas at Harvard, 2005, fig. 29, repr. p. 55 - Dumas, cat. exp. Royal Scottish Academy, Edimbourg, 2003-2004, repr. p. 35 - Karlsruhe, Staatliche Kunsthalle, 2014-2015, fig. 8.2, repr. p. 88.